A consortium of Argentine businessmen have been at St Mirren to discuss the possibility of buying the Buddies. The group, who were shown round the club's stadium and training ground on Thursday, had also been interested in purchasing Motherwell. 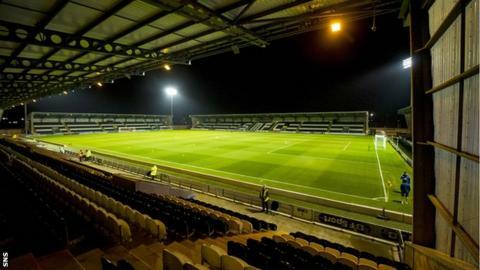 St Mirren have been up for sale since 2009 but chairman Stewart Gilmour has maintained a deal will only be done if it is in the best interest of the club. "There was no offer made," said St Mirren director Bryan McAusland. And he added: "They are not the first people we have spoken to. We've had about 20 groups in over the last few years. "They had a look about the stadium today and asked for some information. They also had a look at Ralston [the club's training ground] and watched an under-20s game yesterday." "I think they have been in chatting to Motherwell recently but there is nothing concrete as far as we're concerned. "I wish it was. The club needs change but we've been saying that for a while. They seem like decent enough guys. We've had a wee look at them and they seem okay so far. "They had a look about the stadium today and asked for some information. They also had a look at Ralston [the club's training ground] and watched an under-20s game yesterday. "They are still here and I think one or two of them might be at the game this weekend. "I think people would like to get something done within the transfer window but with Christmas coming up I can't see it happening soon. If it does happen, it will be after the new year but we are still at an early stage. As I said, there has been no offer made." St Mirren, who entertain Motherwell on Saturday, are bottom of the Scottish Premiership and recently parted company with manager Tommy Craig. Player-coach Gary Teale has been in charge since Craig was sacked in early December.